BUENOS AIRES, Argentina – A half-deflated leather football, a box of marbles and a ragged doll line the display cabinets in the Evita Museum like ancient relics. These worn-out toys played a vital role in the rise of Peronism in Argentina, one of Latin America’s most influential movements. Long before politicians started using social media to influence public opinion, the movement of Juan Perón and his second wife also sought to touch voters on a personal level: handing out toys to 4 million children to poor children. The practice was fundamental to the popularity of Peronism, which persisted far beyond the deaths of Perón and wife Eva María Duarte, famously known as Evita. 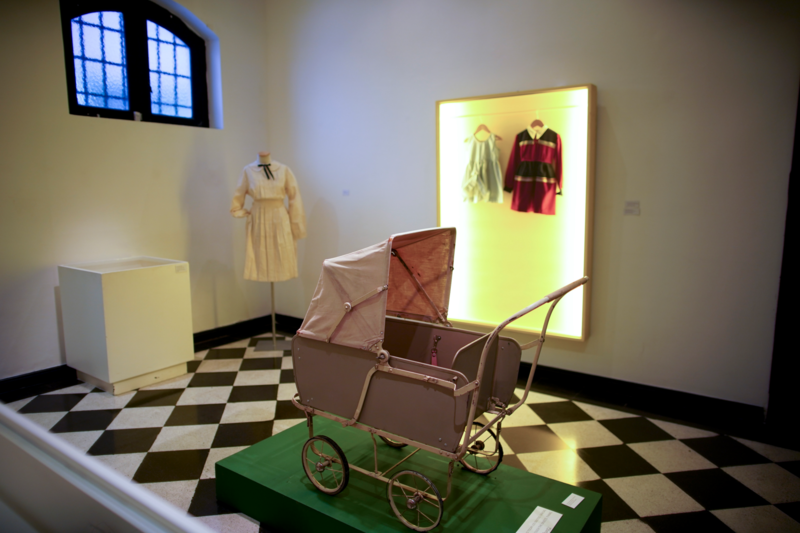 To mark the 100th anniversary of her birth, the Evita Museum in Buenos Aires has inaugurated an exhibition of the toys. TAPACHULA, Mexico – At least 1,300 mainly Cuban migrants have fled on foot from an immigration detention center on Mexico’s southern border in the largest mass escape in recent memory. The National Immigration Institute said late Thursday that 700 of the Cubans had returned voluntarily, but 600 were still on the loose. The institute said agents inside the compound weren’t armed and there was no confrontation. Federal police with riot shields later streamed into the compound to control the situation, as a crowd of angry Cubans whose relatives were being held at the facility gathered outside. The Cubans claimed their relatives reported overcrowding and unsanitary conditions at the facility. The escape was embarrassing for the government, coming on the same day Mexico’s top human rights official toured the facility to oversee conditions there. Australia’s prime minister says the Sri Lankan militants blamed for the Easter attacks in that country had support from the Islamic State group. Prime Minister Scott Morrison told reporters Friday that ties between the local group and Islamic State included identifying the targets of the attacks. Sunday’s attacks killing at least 253 people primarily struck three churches that were packed with Easter worshippers and three luxury hotels popular with foreigners. Heavy security is out on the streets of Sri Lanka’s capital after warnings of further attacks by the militant group blamed for the Easter bombing that killed at least 250 people. At St. Anthony’s Church, one of those struck in the attacks Sunday, there were more soldiers than normal Friday. Shops nearby remained closed. He says there’s “no security, no safety to go to church.” He also says “now children are scared to go to church” as well. Authorities told Muslims to pray at home rather than attend communal Friday prayers that’s the most important of the week. VLADIVOSTOK, Russia – North Korean leader Kim Jong Un has attended a wreath-laying ceremony at a war memorial near the headquarters of the Russian Navy’s Pacific Fleet as he wrapped up his visit to the Russian Far East following a summit with President Vladimir Putin. Kim arrived at the memorial in Vladivostok on Friday. He took off his fedora and bowed after laying flowers at the memorial as a Russian military band played North Korea’s national anthem. 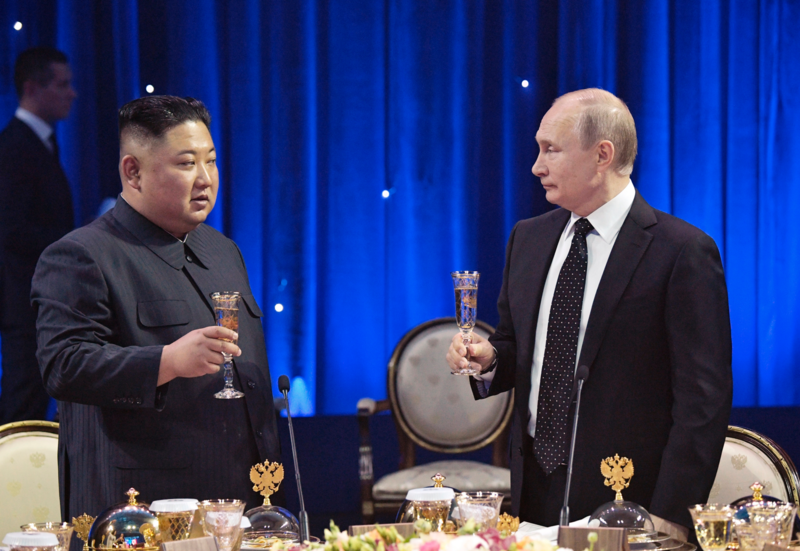 Kim and Putin met on Thursday where the North says they held deep discussions to boost “strategic communication and tactical collaboration” over issues surrounding the Korean Peninsula. Pyongyang’s state media did not report on any specific agreement on North Korea’s nuclear weapons program and sanctions against the North. 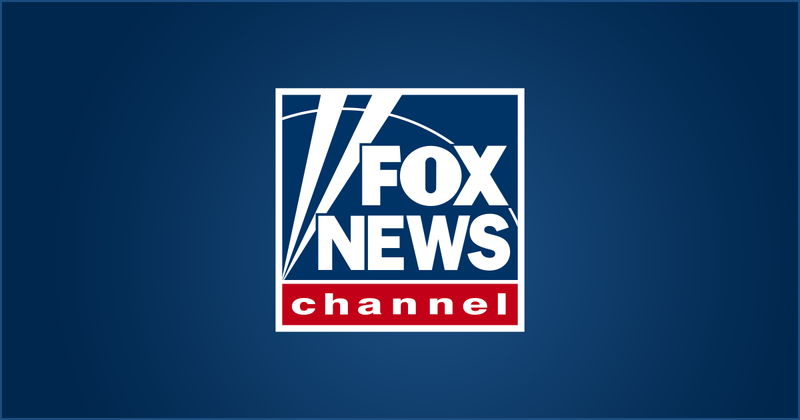 COLOMBO, Sri Lanka – Heavy security is out on the streets of Sri Lanka’s capital after warnings of further attacks by the militant group blamed for the Easter bombing that killed at least 250 people. COLOMBO, Sri Lanka – During the bad years, when rebels mostly from the ethnic minority Tamils and majority Sinhalese government forces were slaughtering each other in a horrific civil war, Gnanamani found solace in something many of her fellow Tamils didn’t have: Christianity, and especially its long inclusion in Sri Lanka’s main ethnic groups. After Islamic militants detonated suicide bombs on Sunday that killed Easter worshippers in three churches, including St. Anthony’s, a few blocks from Gnanamani’s home in the warren of streets of Colombo’s 13th zone, she and other Tamil and Sinhalese Christians are once again turning to a religion that, unusually for Sri Lanka, binds people of different ethnicities by a single faith. About 7% of Sri Lanka’s 21 million people are Christian, and most are Roman Catholic, according to Mathew Schmalz, a professor at the College of the Holy Cross and an expert on Christianity in South Asia. With the recent attacks against Christians and foreigners, there’s worry that militant anti-Muslim Buddhists might be strengthened. “There might be less incentive now to step in to defend Muslims, and militant Buddhists might claim that they had been right all along to see Muslims as a threat,” Schmalz said by email. The largely peaceful mixing of religions and ethnicities found in many parts of Colombo can be seen in the extended family of Anoma Damayanthi Liyanage, a 52-year-old Buddhist factory worker who lives in a small, neat, tin-roofed house in an alley off Jampettah Street in the Kochchikade neighborhood near St. Anthony’s. Liyanage’s 25-year-old daughter, who married into a Christian family, was seriously injured in the blast. Liyanage herself was at St. Anthony’s and escaped the bomb only because she left a few minutes earlier with her Christian son-in-law when her 1 ½-year-old granddaughter began crying too loudly. Not far from the bombed church of St. Sebastian’s in a village in the city of Negombo, beyond the metal security barriers and the dozens of camouflaged soldiers carrying automatic weapons, Catholic priests Niroshan Perera and Anthony Nishan stand in their long white cassocks and watch fresh graves being dug for Christians killed by the attack on their church. 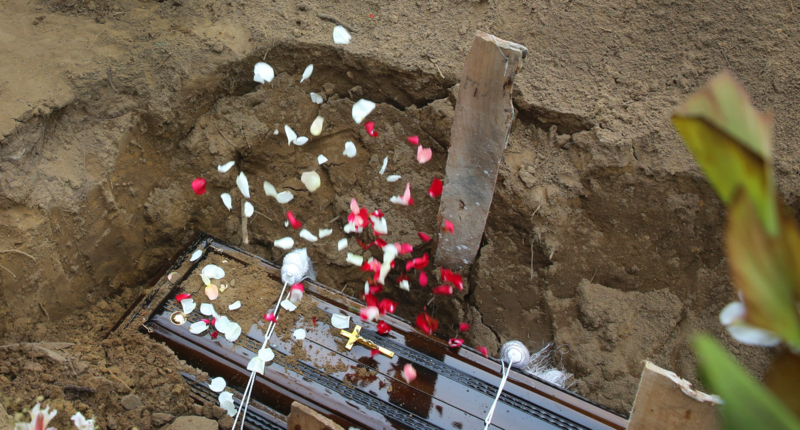 There are 41 dirt mounds piled with flowers and candles, with wooden crosses marked mostly with numbers that correspond to names in a book that the priests keep. There’s fear of more violence and deep grief in this majority Christian enclave outside Colombo. “The whole village is a funeral. The houses here are filled with coffins,” Nishan said of a place where about 120 Christians died in the bombing. “I have a feeling in my heart that we should go after the Muslims, that we should retaliate,” he said. For the time being, however, like the Christians of Colombo interviewed by AP, there’s a belief that Catholics won’t hit back. SAN JUAN, Puerto Rico – A spokeswoman for a U.S. financial adviser charged with killing a hotel worker while on vacation in Anguilla said he acted in self-defense and accused the victim of attacking him. Kelcey Kintner released a statement Thursday alleging the worker showed up at Scott Hapgood’s room unannounced, saying he was there to fix a broken sink. The statement alleges the worker was armed and demanded money before attacking the family. A spokesman for Anguilla police did not return a message for comment. Relatives of the victim could not be reached for comment. Hapgood returned to Connecticut after he was released on $74,000 bond. He faces an Aug. 22 hearing in Anguilla. The case has sparked racial tensions on an island that caters to wealthy tourists. WELLINGTON, New Zealand – Britain’s Prince William has told survivors of the mosque attacks in New Zealand that people must unite to fight extremism in all its forms. The Duke of Cambridge on Friday visited one of the two Christchurch mosques where 50 people were killed and 50 others wounded in a March 15 attack by a white supremacist. Prince William spoke to about 100 people including Muslim leaders and Prime Minister Jacinda Ardern at the Al Noor mosque. He said the message after the attacks was clear: That hate would fail to divide people. William is on a two-day trip to New Zealand. Earlier on Friday, he met with some of those recovering from gunshot wounds at Christchurch Hospital. On Thursday, he met with police officers and medics who responded to the attacks. Patricia Espinosa stressed in two recent interviews with the Associated Press that climate scientists say there’s still a chance to make things right “but the window of opportunity is closing very soon” and the world has 12 years until carbon emissions reach “a point of no return” — something some top scientists say is an oversimplification of a U.N. report last year. She said that means the world needs to accelerate all efforts to keep from reaching that level, “and therefore all efforts are absolutely indispensable” to cut carbon emissions and keep temperatures from rising. 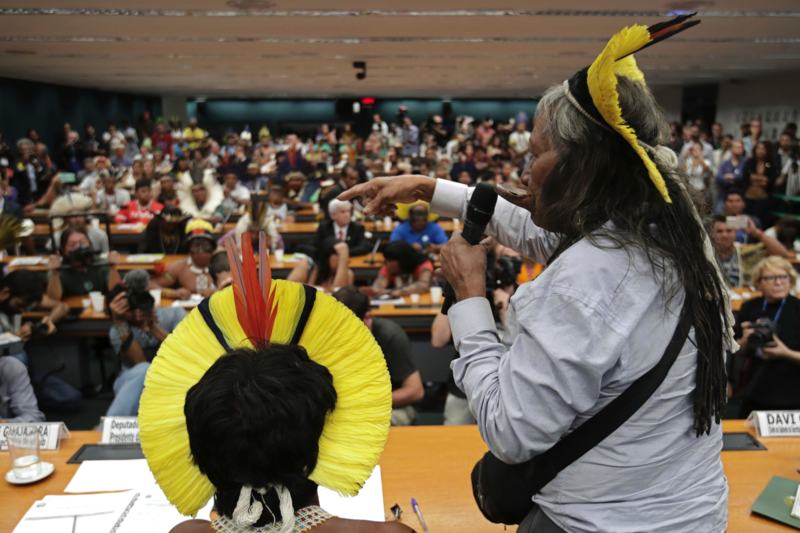 BRASILIA, Brazil – Over 150 indigenous leaders met with lawmakers to discuss land rights and the role of their communities in the protection of the environment Thursday amid protests against the policies of Brazil’s new far-right president. The discussions in the Chamber of Deputies came on the second day of the Free Land Encampment, an annual three-day protest by indigenous groups held in Brazil’s capital. Indigenous leaders from several regions attended the congressional hearing, many of them with traditional feathered headdresses and faces painted red or black. Marina Silva, a former environmental minister and presidential candidate, also attended the meeting. More than 1,000 indigenous people set up tents on the lawn of the congressional building Wednesday and began demonstrating against President Jair Bolsonaro’s vow to encourage the expansion of mining and industrial farming in protected indigenous areas. “What is being disputed is the land,” said Sonia Guajajara, an indigenous leader and former vice presidential candidate. Bolsonaro “wants to give the indigenous territories to the United States, to foreigners, to explore our natural resources. We fight not only for our rights, our constitutional rights, but for our right to exist,” Guajajara told The Associated Press on Wednesday night. Soon after being sworn in Jan. 1, Bolsonaro transferred the authority for designating indigenous land and granting environmental licenses for businesses on indigenous reserves from the government’s indigenous affairs agency to the Agriculture Ministry. He also shifted the indigenous affairs agency, FUNAI, from the Justice Ministry to a new ministry for family, women and human rights that is being led by an ultraconservative evangelical pastor. Maia responded by saying that he would push to undo the changes when the proposals come up for debate. Putting FUNAI back under the Justice Ministry “seems to me the most reasonable, the most rational (decision) that guarantees more security for each one of you,” Maia said. Guajajara told a cheering crowd that indigenous leaders will continue to oppose Bolsonaro’s plans. “We are in Brasilia to show that our resistance is strong and that our compromise with our peoples is bigger than any imposition. We are not going to accept these attacks with our arms crossed,” Guajajara said. At a gathering in 2017, police shot tear gas at indigenous protesters who fired back with bows and arrows. On Thursday, while the lower house commission was discussing the future role of indigenous communities in the protection of the environment, the Senate held a special session to honor the indigenous peoples of Brazil. This year’s protest is to end with a group march Friday. Associated Press video journalist Renato Domingues reported this story in Brasilia and AP writer Diane Jeantet reported from Rio de Janeiro. AP video journalist Mia Alberti in Brasilia contributed to this report.